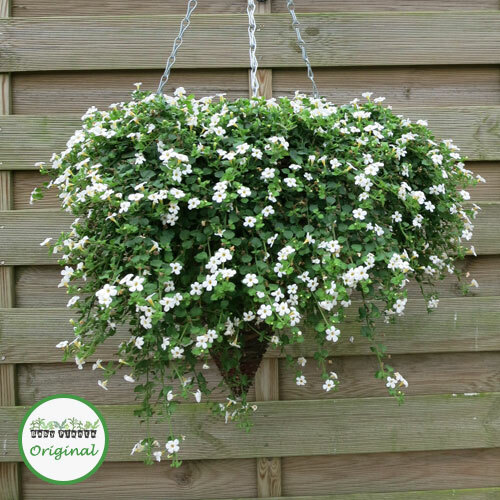 Bacopa Snowflake is the original Bacopa variety, and is one of the most popular hanging basket plants. 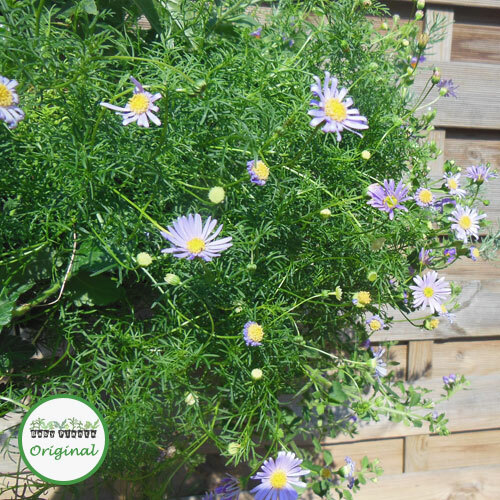 It has green leaves, and produces masses of small white flowers. 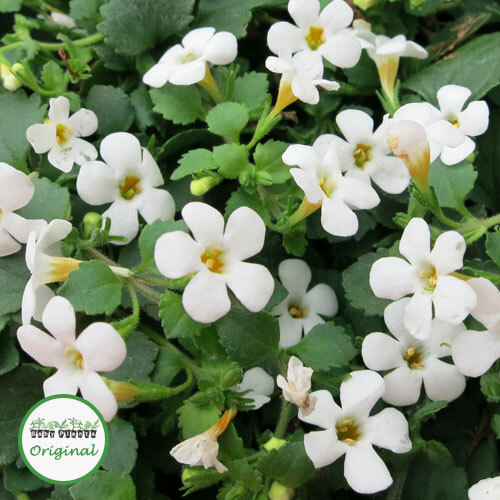 Unlike trailers such as Nepeta which produce long downward trails, Bacopa?s trailing growth is spreading, so it forms more coverage than just vertical hanging growth. 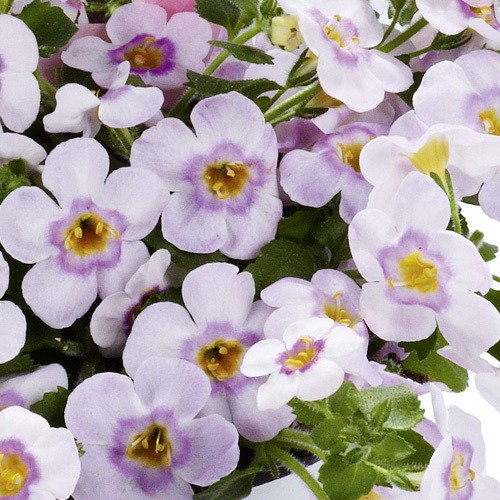 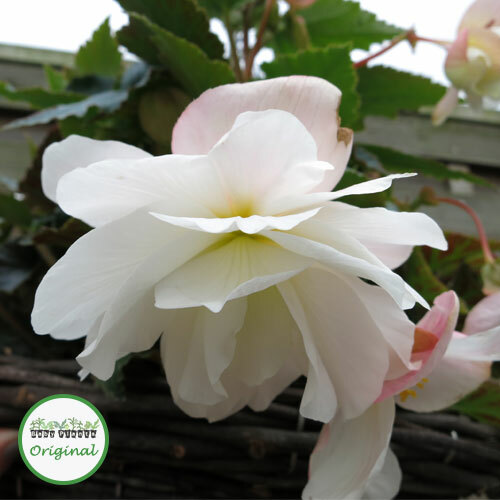 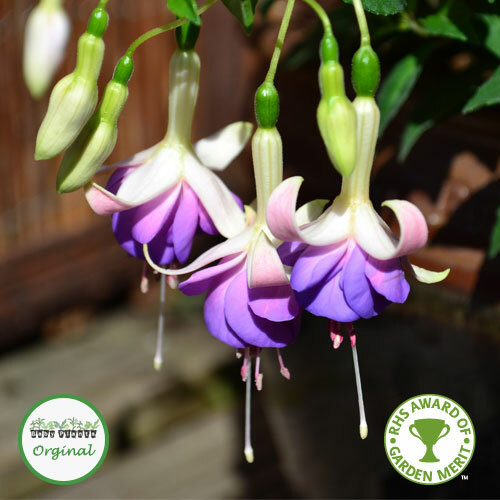 To fill a 12″ or 30cm hanging basket you will need 5 Bacopa plugs.